Michael H. Stone, Sante Fe, NM; NGA purchase (through Cherry and Martin Gallery, Los Angeles), 2012. 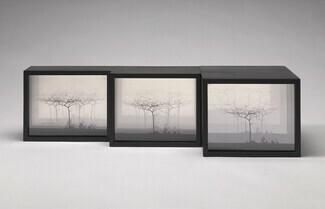 "Photography into Sculpture," Cherry and Martin Gallery, Los Angeles, September 10, 2011 to October 22, 2011. "Photography into Sculpture," Museum of Modern Art, 1970-1971, (toured to The Krannert Art Museum, Champaign, Illinois; Rice University, Houston, Texas; Fort Worth Art Center, Forth Worth, Texas; Vancouver Art Gallery, Vancouver, B.C; Virginia Museum of Fine Arts, Richmond, Virginia; Phoenix Art Museum, Phoenix, Arizona; San Francisco Museum of Art, San Francisco, California; Otis Art Institute of Los Angeles County, Los Angeles, California).